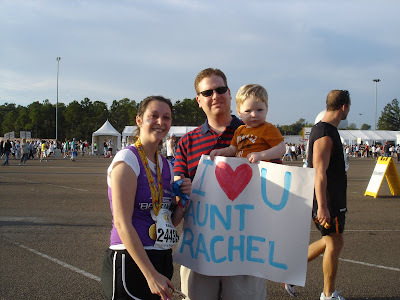 Aunt Rachel ran in a really long race and we went to cheer her on. I made her a sign and held it up when she crossed the finish line! 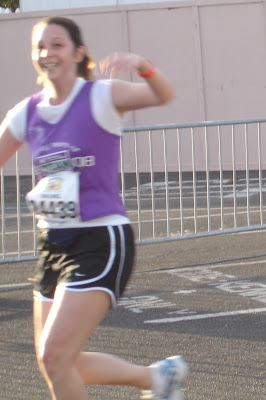 We are all really proud of Aunt Rachel finishing the half marathon in even less time than before...and still with a smile!!! Thanks "Grammy" (it's wierd to cally ou that)! I was mainly smiling because I had a cut elittle man with a sign to smile at!